“Don’t rush the season” is the saying about tomatoes and cold weather.Tomatoes do not like damp, cool soil.They are injured at 41 degrees F. The ideal temperature range for tomatoes during the growing season is 65 to 70 degrees F. However, tomatoes will give acceptable results when the temperature ranges from 50 degrees F at night to 85 degrees F during the day. Frost damages the cell walls of growing tomato plants. Wilting and death of the plant occur. Phosphorus deficit is also a problem with cold weather on young tomato plants. 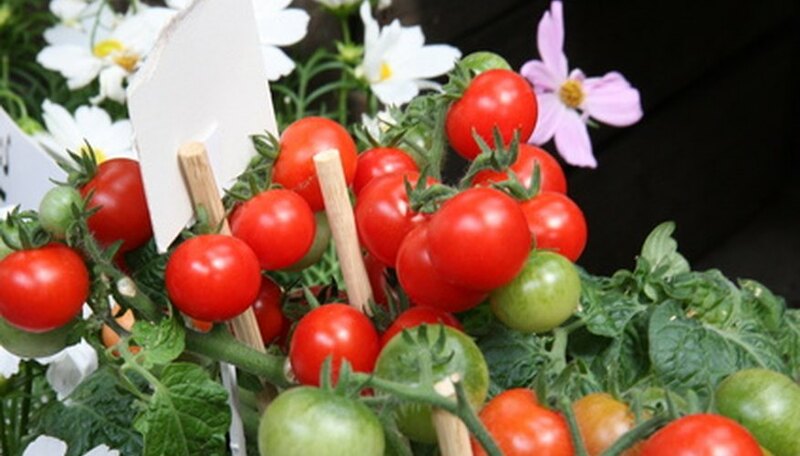 Tomatoes need phosphorus for healthy development. 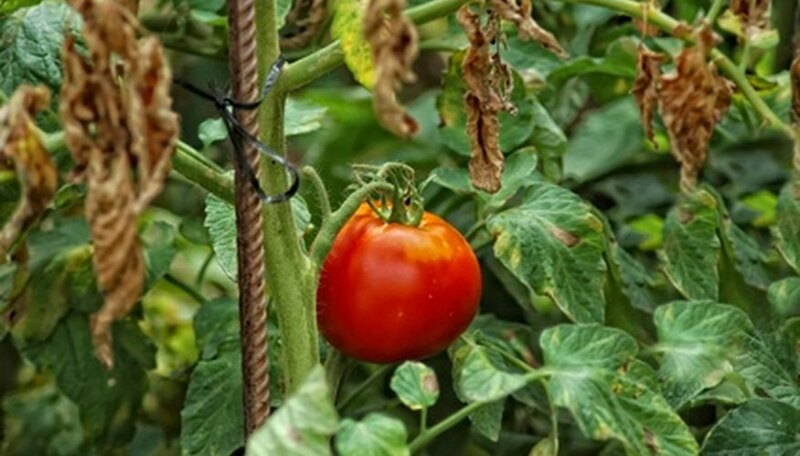 Phosphorus deficiency is caused by planting tomatoes in the ground when it’s still cold. Do not plant tomatoes before the soil is warmed up to 65 degrees. Once the soil warms up, phosphorus is available and the problem corrects itself. The best protection from frost damage is to know the typical frost dates in your area. Check the USDA hardiness zone map (please see Resource section). Your local garden center and the "Farmer's Almanac" also have frost-date information. The frost date is the date by which a frost will occur 50 percent of the time. Watch the weather also. Cool, clear nights with low humidity, often following a cold front, signal frost coming. A late frost or cold snap in your area may surprise you, but there are still ways to protect your tomatoes from damage. Fill plastic milk jugs with hot water and put them next to the tomato plants in the garden. Now lay an old sheet or towel over the entire plant, and then a sheet of plastic. The plastic should not touch the leaves of the tomato plants. Be sure and remove the sheets and plastic during the day so the sun will warm the plant. Use “frost caps” if the tomato plants have just been set out into the garden and frost is predicted. Buckets or other empty containers may also be used this way. Remember to remove them during the day so the sun can do its job. 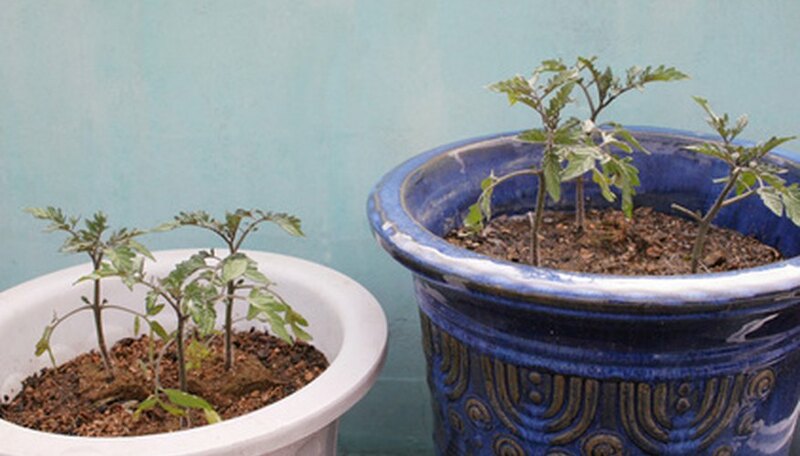 Create little wire cages around each young tomato plant, covering them with a sheet of plastic. The plastic warms up the plant but lets in the sunlight during the day. A “floating row cover” is used to protect tomatoes on large farms. 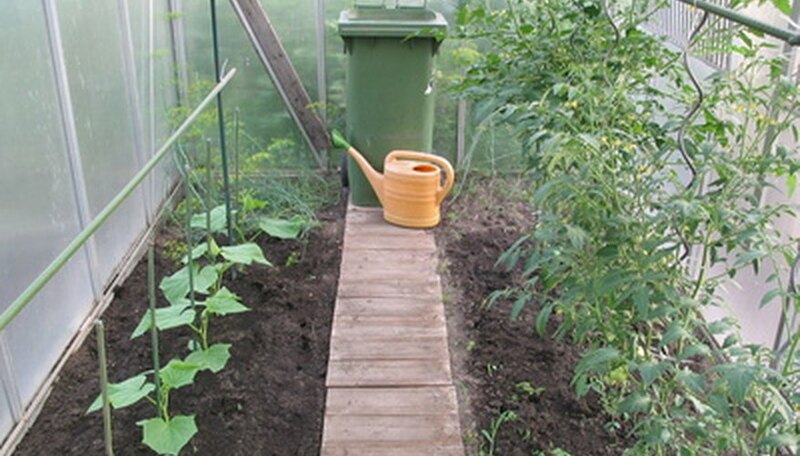 This method can be adapted easily for home gardens. Create a tent over your plants by driving bamboo stakes into the ground around the plant. The stakes keep the plastic sheet from touching the tomatoes. If there is contact, it will freeze at each spot the plastic touches leaves. Secure the plastic to the stakes with a staple gun. Even light wind can blow the plastic off. Ontario, Canada Ministry of Agriculture, Food, and Rural Affairs, "Protecting Tomatoes from Cold"
Cornell University Cooperative Extension,"Understanding Frost"